RBTH has selected a few art galleries that don’t usually appear in the guidebooks. 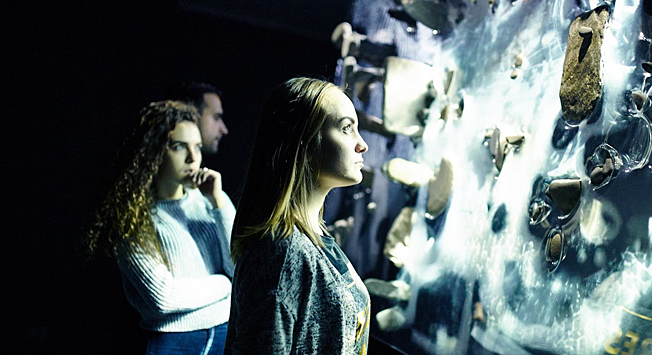 In addition to the Pushkin Museum of Fine Arts, the Tretyakov Gallery and the Kremlin, there are quite a few private art foundations that bring international exhibitions to Moscow. This three-story exhibition space in the very center of Moscow on Lubyanskaya pl. is big enough to host two or even three expositions at once. The founders, Vladimir Semenikhin and his wife Ekaterina, are well-known collectors and art patrons, who spend most of their time in Monaco and France. The couple’s French background is often reflected in the exhibitions presented at their foundation, which have included retrospectives of such heroes of contemporary art as Annette Messager and Jean-Marc Bustamante. Well-traveled exhibitions such as “The Grace Kelly Years: Princess of Monaco” and “On Sharks and Humanity” have also been displayed at the Ekaterina Foundation. The center also frequently organizes exhibitions of 20th century Russian art, from the avant-garde to contemporary masters. Stella Kesaeva, the foundation’s owner, is also a collector and impresario that spent the last six years as the Commissioner of the Russian Pavilion at Venice Bienalle. She is the main international promoter of the legendary Moscow conceptualism movement and she has travelled around the world from Vienna to New York to help these artists become better known. The works of primary conceptual artists from Ilia Kabakov and Yuri Albert to Vadim Zakharov and Irina Nakhova, are currently on display at the foundation. This formerly small commercial gallery specializing in Soviet and Russian photography has grown into a large cultural center. Today their exhibition space is located in the art cluster at Krasny Oktyabr (Red October), which can be reached via a bridge at the Cathedral of Christ the Savior. There are major exhibitions here showing the works of Russian and international masters of the image from Naum Granovsky and Emmanuil Evzerikhin to Elliott Erwitt and Arnold Newman. Besides gallery exhibitions, concerts and lectures are held here and monographs of photography masters are also published on the premises. This new museum opened in 2011 from the private collection of businessman Aleksei Ananyev. The bulk of the collection is comprised primarily of the artwork of artists of the “austere” style (end of 1950s – beginning of 1960s) and the so-called socialist realists that propagandized in favor of the Soviet communist system after the October Revolution of 1917. Among those presented here are internationally recognized artists such as Isaak Brodsky, Alexander Deyneka and Gely Korzhev among others. This is one of the oldest contemporary art centers in Moscow to feature its own collection. In recent years the center has been particularly interested in digital technologies and its curators organize new international multimedia exhibitions every two months. Joanie Lemercier, Guillaume Marmin, Takami Nakamoto, Konstantin Khudyakov and the artists of the Pino Pascali Foundation and Museum are among those that have participated in the center’s projects. The center also initiated the Curiosity Media Lab where resident artists work on their own technical developments. Inna Bazhenova, the foundation’s owner, is a collector, an art patron and the owner of The Art Newspaper, one of the world’s leading art publications. Her interests are very broad and her collection reflects this, featuring Italian and Dutch masters alongside French impressionists and contemporary artists. Equally versatile is the foundation’s program. Its inaugural exhibition presenting the Russian “Morandi,” Vladimir Weisberg (winter 2014) was followed by the architectural photography of Yuri Palmin and the refined etchings of Jacques Callot. The first art cluster in Moscow to be housed in a former industrial building is home to several contemporary art galleries, artist studios and companies that in one way or another are involved in the art world. Many different events take place here every day, everything from temporary exhibitions, lectures and film screenings, to music festivals and theater performances.